The term "extreme right", despite an agreed upon definition, continues to be in common usage, and is frequently employed in political discourse, in the media, and in academic debates. 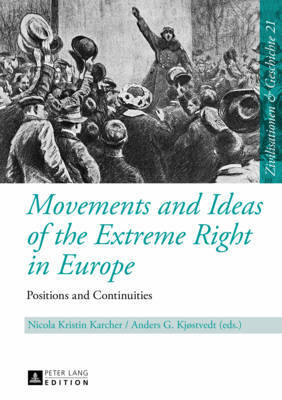 This volume presents a broad range of movements, political parties and persons, all of them representing positions and continuities within the framework of the extreme right in the space of a century. The contributions all bring new knowledge and perspectives, and give an insight into current research in a number of fields, ranging from the end of the First World War to the first decades of the 21st century.